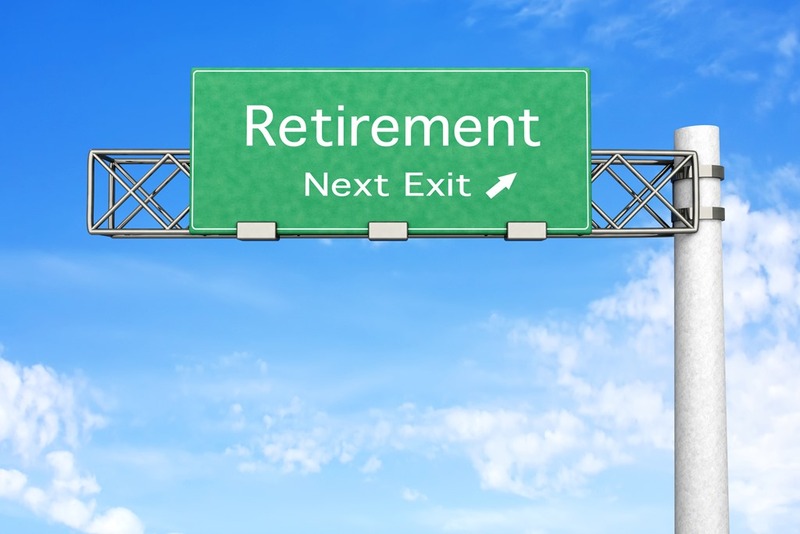 What is a 702(j) retirement plan, and should you get one? In recent months, so-called 702(j) plans have been marketed by insurance salesmen as a new kind of retirement plan, and they have sparked plenty of consumer questions about whether it’s an investment vehicle they should pursue. Here is a closer look at what these plans are, and are not. 1. Cash Value Accumulation Test (CVAT) –makes sure that the cash value of the insurance policy (all of the money that you’ve paid plus earnings) does not exceed the present value of all future payments on the policy. 2. Guideline Premium Test (GPT) – limits the amount of money that can be paid into an insurance policy relative to the corresponding death benefit. If it does, then the financial product can be taxed as life insurance! Hooray! This really is a big deal because a properly designed and funded cash value life insurance policy (universal life, whole life, variable universal life) is one of the last great tax shelters available, which means that the monthly premiums that you pay can (1) grow tax-deferred, (2) can be accessed tax-free via policy loans, and (3) the death benefit can be received income tax-free. A properly designed cash value life insurance plan can also be viewed as a 4th asset class, or another “leg” of your retirement income stool When you retire, you want to have a strong, sturdy retirement stool to stand on, one that is well balanced and diversified. So in addition to retirement income that you may derive from Social Security (1), Pension (2), and Investments (3), now you have the option of taking income from a cash value life insurance policy (4).If you want to get crazy you can read the code at: https://www.law.cornell.edu/uscode/text/26/7702. Why would you want to have different asset classes available at retirement to pull income from? Because our country is $19 trillion in debt and there is roughly $19 trillion in IRA/401(k) & profit sharing plans. How is Washington going to pay for this debt? You got it, they’re going to take it from your accounts in the forms of higher health care costs in retirement via the increase of Part B and Part D Medicare premiums, tax more of your Social Security payments, and not index either of these for inflation. Over time, more and more of the 10,000/day baby boomers who are retiring will become subject to the extra penalties and taxes. Brilliant! That is of course, unless you are a prepared baby boomer retiree and have strategically allocated your retirement income monies to come from accounts that don’t count towards the Social Security provisional income or Medicare Modified Adjusted Gross Income (MAGI) calculations, but that is a topic for another nerd wallet post. Once you know how much money you can deposit into your 702(j) plan each year under the CVAT and GPT tests, then you’ll want to try to put as much as possible into these plans, as soon as you can. Generally it is a good idea to make contributions for at least 8-10 years before you take any money out, because this will give your policy more time to grow and for earnings to compound. This is what is meant by a properly designed and funded life insurance plan. 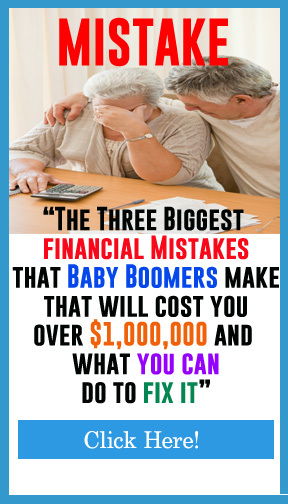 These plans can be equally effective for a young 30 something just getting started, as they are for a 60 year old Baby Boomer looking towards retirement in the near future. The idea of using a life insurance contract or a “702(j) retirement plan” to supplement your retirement income is not new. People have been using permanent life insurance for decades, and the popular sales pitch is that “wealthy people have been doing this for years,” implying that the rest of us should as well. The plan is that you put more than the minimum required premium payment under the GPT and CVAT tests into a cash value life insurance policy (universal life, whole life, variable universal life) during your savings years. Later on, you can then withdraw money out of the policy via a tax-free policy loan to pay for your retirement, buy a car, put kid through college, or whatever purpose you want the money for. I recently ran an illustration for a 60 year old male who wanted to diversify his retirement income and do some pre-planning to reduce the taxes on his Social Security income and avoid the Medicare Part B & D premium surcharges that he would be exposed to once he started taking the Required Minimum Distributions (RMD) out of his IRA plan at 70 ½. The impact of these two things is not insignificant. His SS income was expected to be about $32,000/year, and his IRA distributions would make up to 85%, or $27,200, taxable as ordinary income. Worse, since he was up against the $85,000 income threshold for Medicare Part B and D premiums, just $1 additional dollar of income would bump him into the Medicare “level I” Income Related Premium category, which would cost him an additional $1,600/year. That, combined with $6,800 more in Social Security income taxes, means that he would be paying $8,384/year more in taxes and Medicare surcharges than someone who had proper planning. Over a 25 year retirement life, that amount invested at 8% each year grows to more than $670,000! The illustration showed him depositing $78,079/year into the plan for 4 years for a total of $300,000. Starting at age 67, he could then withdraw $32,469/year out of the plan for the rest of his life, all tax-free, and not included in the Social Security or Medicare premium penalty calculations. This provided him with a $1 million death benefit, that gradually decreased as he started withdrawing monies out of the plan. For a younger client, a 30 year old male putting in $10,000/year into a properly structured plan could have an initial death benefit of around $400,000, and could withdraw $100,000 at age 45 to pay off debt, reinvest, start a business, whatever. At age 65 he could then withdraw $112,000/year for life, tax free. The life insurance sales industry has long had catchy monikers to describe this kind of product, like “Bank on Yourself,” “Be Your Own Bank,” “Infinite Banking” and others. A 702(j) loan is tax free, provides a tax-free death benefit and is some states is 100% protected from creditors. Should you get one? Well, that depends. 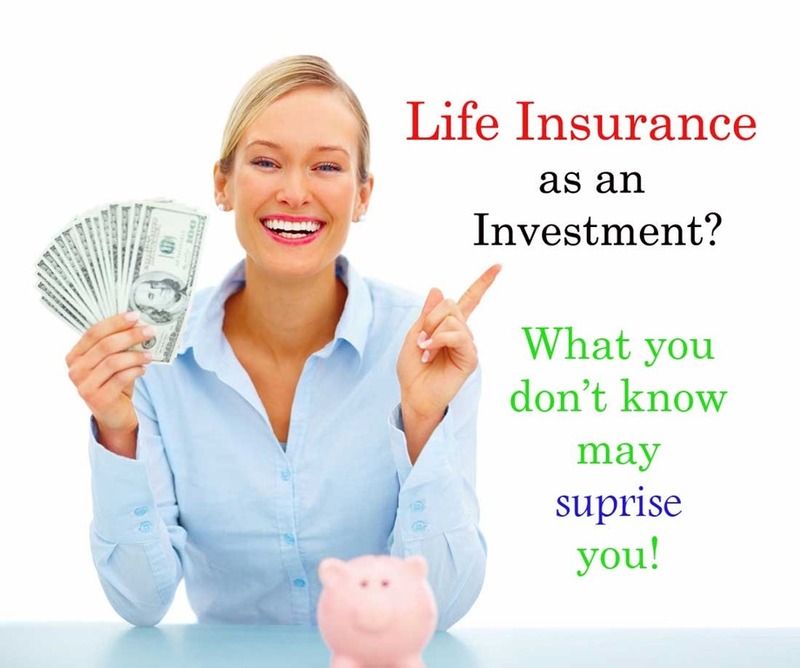 First off, you need to recognize that life insurance has fees associated with it. 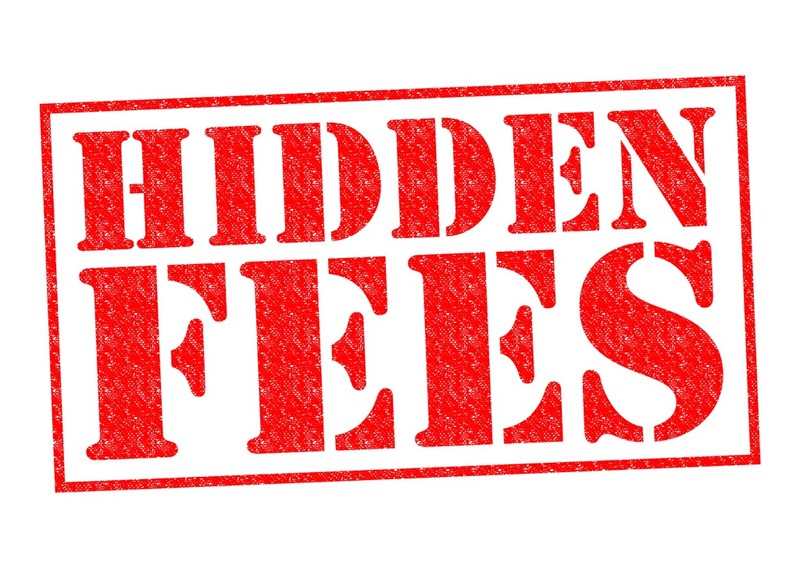 You have to pay for the cost of the insurance, mortality and expense charges, administration charges, annual policy fees, state taxes, and the marketing expenses (commissions) that go to whomever is telling you about the plan. Second, you really need to thoroughly understand the illustration, or the “projections”, that you are being shown. Make sure that you can properly fund the policy. Setting up one of these plans is like purchasing an expensive car–lots of benefits, but your maintenance costs, insurance, gas, etc. adds up and you need to take care of your purchase. The web is full of dissatisfied 702(j) purchasers who rue the day they started the plan, just like people who bought expensive cars that were out of their price range and they couldn’t keep up with the maintenance. Don’t blame the car manufacturer for your inability to properly service things!. The allure of the policy is that a properly constructed, managed, and funded life insurance contract can provide the disciplined retiree with another source of retirement income that is completely tax-free. This means no social security taxes, income taxes, Medicare taxes, or investment surcharge taxes. There’s no pre-59 ½ withdrawal penalty, required minimum distribution income thresholds to set one up. So, does it make sense to trade the fees of the insurance policy for the taxes to the IRS? The answer to this question can only be answered by doing a complete analysis of your financial situation and calculating what your tax burden is. Generally, it makes mathematical sense for someone to maximum-fund their 401(k), IRAs, and Roth IRA accounts before they go out and purchase any 702(j) plan or look at using life insurance as a retirement income supplement. Are you doing all of these things and still have disposable income that you want to save for the future? If so, a properly constructed 702(j) plan may make sense. For high wage earners who are expected to have high incomes in retirement, the answer is simple — absolutely. As stated, loans from life insurance contracts don’t count as income in retirement. They don’t count towards the Provisional Income test to determine how much of your Social Security is taxable in retirement (up to 85% can be taxable), they don’t count towards the Medicare Part B premium penalty surcharges, and most importantly, they don’t have required minimum distributions (RMDs) like qualified plans such as IRA and 401(k) plans that require you to take distributions out of your plans at age 70 ½ whether you need it or not. RMDs are taxed as ordinary income, and for many retirees this causes a domino effect and bumps them up into unnecessary Social Security taxation and Medicare Part B premium penalties. This can all be avoided by having tax diversification in retirement, and a properly funded life insurance contract can do exactly that. If I am discussing the suitability of this type of product with a client, I look for ways that we can properly manage their existing deductions and tax brackets first, and put as much money as possible into their qualified plans. Once retirement time comes, then we strategically convert these taxable retirement accounts over to tax-free Roth accounts and reduce their income taxes payable via smart tax bracket planning, strategic Social Security claiming strategies, and the proper use of charitable remainder trusts and tax-deduction techniques that dramatically reduce their income taxes payable in the year of conversion. This way, the investor really can have their cake and eat it, too — they get a tax deduction on their initial IRA/401(k) contribution, and they pay a lower effective tax rate when they convert the monies over to a Roth account via the strategies described above, and enjoy all of the tax-free benefits of the Roth. Halleluiah! If we do decide to go with a 702(j) plan, then I will generally recommend a commission-free, low-cost variable universal life policy (VUL) as the funding vehicle instead of the more expensive whole life and indexed universal life alternatives. Most insurance salesmen don’t even mention the commission-free VUL route because they are simply unfamiliar with this option and don’t understand how it works. Plus there is no commission to be made on the sale, so there is no incentive to bring it up. That being said, it pays to work with a professional who knows how they both work. Seek out someone who can compare and contrast the different policies and get at least three illustrations from the best VUL, IUL, and permanent whole life companies before you commit to anything. It is a lot of work for the insurance agent, but this is your money, and your life and you want to make the right choice. Over time, the ability to receive a tax deduction on your IRA/401(k) contribution, convert to a Roth account at a lower rate via tax deduction vehicles, and have a properly funded VUL/IUL(indexed universal life) or whole life plan in retirement will give future retirees the ultimate in tax savings and diversification that will be worth hundreds of thousands of dollars throughout the remaining life span of the retiree, which could be 30 years or more. Even if we are in a new Secular Bull Market, market history says future returns are likely to be modest at best. The CAPE is at 26.1, up from the prior week’s 25.5, and approximately at the level reached at the pre-crash high in October, 2007. In fact, since 1881, the average annual returns for all ten year periods that began with a CAPE around this level have been just 3%/yr (see graph below). The “big picture” is the months-to-years timeframe – the timeframe in which Cyclical Bulls and Bears operate. The US Bull-Bear Indicator (see graph below) is at 57.70, up from the prior week’s 57.11, and continues in Cyclical Bull territory. The intermediate (weeks to months) indicator (see graph below) turned negative on Friday, December 11. The indicator ended the week at 17, down a tick from the prior week’s 18. Separately, the quarter-by-quarter indicator – based on domestic and international stock trend status at the start of each quarter – gave a negative indication on the first day of October for the prospects for the fourth quarter of 2015. In the Secular (years to decades) timeframe (Figs. 1 & 2 above), whether we are in a new Secular Bull or still in the Secular Bear, the long-term valuation of the market is simply too high to sustain rip-roaring multi-year returns. In the Cyclical (months to years) timeframe (Fig. 3 above), the US is the only major market still firmly in Bull territory. In the Intermediate (weeks to months) timeframe (Fig. 4 above), US equity markets are rated as Negative. The quarter-by-quarter indicator gave a negative signal for the 4th quarter: neither US equities nor ex-US equities were in an uptrend at the start of Q4 2015, sufficient to signal a higher likelihood of a down quarter than an up quarter. In advance of the Christmas holiday, US stocks rallied in low-volume trading along with oil and other commodities. The gains brought the large cap S&P 500 index back into positive territory for the year. The Dow Jones Industrial Average gained 424 points to end the week at 17,552. The LargeCap S&P 500 gained +2.76%, and is now up 1.5% year to date. The MidCap S&P 400 and SmallCap Russell 2000 gained +2.97% and +3.01%, respectively. The Nasdaq composite rose +2.55%, ending the week at 5,048. Canada’s Toronto Stock Exchange Index gained also, rising +2.3%. Among European markets, the United Kingdom’s FTSE led the way up with a pop of +3.3%, Germany’s DAX gained +1.1% and France’s CAC 40 advanced a less-robust +0.8%. In Asia, Australia’s ASX and Hong Kong both gained +2%, but the Japanese Nikkei slipped -1.1% – its fourth weekly loss. In commodities, crude oil rocketed over +9%, ending the week at $38.12 per barrel of West Texas Intermediate crude oil. Precious metals also participated in the rally as Gold gained +1%, rising $10.80 an ounce to $1075.80 and Silver tacked on 2% to $14.38 an ounce. In US economic news, the Labor Department reported that initial jobless claims declined by 5,000 to 267,000. The smoothed 4-week average rose slightly to 272,500, a 3-month high, but has held below 300,000 for most of 2015 after hitting a long-term low in July. US average home prices have now officially surpassed their 2007 peak, according to Federal Home Financing Agency (FHFA) report. Prices increased +0.5% on a seasonally-adjusted basis, according to the report, which matched the median estimate of the 16 economists polled by Bloomberg. The FHFA’s monthly index is now +0.3% higher than the level reached in March 2007. Nevada, Colorado, and Arizona had the biggest increases. The National Association of Realtors reported that existing home sales declined -10.5% last month to an annual rate of 4.76 million units, the lowest annual rate in almost 2 years, which missed expectations by a wide margin. Existing-home sales fell -3.8% versus a year earlier. NAR blamed the weak housing numbers on a lack of supply. In contrast to existing home sales, new housing starts jumped in November with single-family starts and permits hitting the highest levels in nearly 8 years. The Commerce Department reported that new home sales rose +4.3% to a 490,000 annual rate. The Commerce Department reported that US GDP rose at a 2% annual rate in the 3rd quarter. The US is on pace for a 10th straight year of failing to achieve the desired 3% annual growth rate. Exports were slightly weaker than previous estimates thanks to a stronger dollar, but business investment rose at a 9.9% rate – the best in a year. Consumer spending rose at a solid 3% pace on a stronger job market and lower gas prices. The Chicago Federal Reserve’s National Activity index declined last month to -0.3; the index is now negative for the 4th straight month. The 3-month smoothed moving average of the National Activity Index fell to -0.2, the lowest since the beginning of the year. The National Activity Index is made up of indicators that attempt to show whether economic growth is above or below historical trends. The production-related indicators fell further into negative territory. The employment indicators were positive but declined. Consumption and housing indicators remained negative but improved. In the United Kingdom, retail sales grew weaker than expected coming in at 19 according to the business lobby group CBI. Expectations had been for a reading of 21. The British economy gained 0.4% over the previous quarter. Year over year, GDP grew 2.1%. In the Eurozone, consumer confidence improved to -5.7 beating estimates of -5.9. The index reached its highest level since the summer and the latest reading is well above its long-term average. Producer prices in Germany, Europe’s largest economy, declined -0.2% last month. Consumer goods declined -0.1% while energy fell -0.2%, and capital goods increased by +0.1%. Finally, it’s that time of the year again. Each year, the best-and-brightest at every major Wall Street investment firm present their highly-educated and generously-compensated prognostications for the coming year. There are 22 such luminaries bearing the title “Chief Market Strategist” at well-known firms like Goldman Sachs and Morgan Stanley. Each year they are asked to forecast what the stock market will do over the next year. They have access to the best information, Ivy League-educated economists, teams of analysts, and connected politicians. We can’t expect their track records to be perfect, but surely these folks produce truly superior predictions…right? Morgan Housel, a columnist at investing site The Motley Fool (www.fool.com), dug deep into the numbers and what he found was disappointing, to say the least. The average S&P 500 forecast of these experts was off by an average of 14.7% per year, a difference of more than 150% of the actual average return of the S&P 500. Note too in the chart below that as a group the experts did not predict even a single down year, instead choosing to always see a rising market. A blindfolded monkey with darts would have been substantially superior to this august group – and would cost a lot less, too! The average ranking of Defensive SHUT sectors rose to 7.8 from the prior week’s 12.0, while the average ranking of Offensive DIME sectors fell to 17.5 from the prior week’s 12.0. The Defensive SHUT sectors have expanded their lead over the Offensive DIME sectors. Note: these are “ranks”, not “scores”, so smaller numbers are higher ranks and larger numbers are lower ranks. Even if we are in a new Secular Bull Market, market history says future returns are likely to be modest at best. The CAPE is at 25.5, little changed from the prior week’s 25.4, and approximately at the level reached at the pre-crash high in October, 2007. In fact, since 1881, the average annual returns for all ten year periods that began with a CAPE around this level have been just 3%/yr (see graph below). The “big picture” is the months-to-years timeframe – the timeframe in which Cyclical Bulls and Bears operate. The US Bull-Bear Indicator (see graph below) is at 57.11, down from the prior week’s 59.89, and continues in Cyclical Bull territory. The intermediate (weeks to months) indicator (see graph below) turned negative on Friday, December 11. The indicator ended the week at 18, down sharply from the prior week’s 27. Separately, the quarter-by-quarter indicator – based on domestic and international stock trend status at the start of each quarter – gave a negative indication on the first day of October for the prospects for the fourth quarter of 2015. As expected, the Federal Reserve raised interest rates on Wednesday, ending the nearly decade-long zero-rate policy. Fed Chairwoman Janet Yellen stated that the conditions for a rate hike had been met, such as improving labor markets. The Fed made it clear that it is in no hurry to raise rates again and that its favorite gauge of inflation still remains below its 2% target. Stocks rose sharply in the days leading up the announcement, and on the day of the announcement rose another 1.5% as investors appeared to cheer the vote of confidence in the U.S. economy and the Fed’s dovish comments. But the day after, reality set back in and the market gave back all those gains on Thursday and Friday. For the week, the Dow Jones Industrial Average declined -136 points to end the week at 17,128. Counterintuitively, the Dow Transports sold off even with the continued weakness in oil, down -2.13%. Utilities rebounded +3% as investors rotated into defensive sectors. The LargeCap S&P 500 declined a third of a percent but remained barely above 2000 at 2005. MidCaps and SmallCaps declined -1% and -0.23%, respectively. The Nasdaq was unable to defend the 5000-level, closing at 4923, down -0.21%. Canada’s TSX recovered some lost ground from last week’s plunge, gaining +1.83% to close at 13,024. In international markets, strength was found in European markets as Germany’s DAX gained +2.59%, France’s CAC40 rose +1.66%, and the United Kingdom’s FTSE increased 1.67%. Major markets in Asia were mixed with China rallying +4.2%, but Japan’s Nikkei declining -1.27%. In commodities, precious metals were mixed as Silver gained +1.37% to $14.08 an ounce, while Gold went down $8.10 to end at $1,065.60 an ounce. A barrel of West Texas Intermediate crude oil reached a new 6-year low of $34.53 a barrel last week, but rebounded closing up +1.33% to $35.83. In US economic news, new unemployment claims declined 11,000 last week to 271,000 the smoothed 4-week average remained flat at 270,500 according to the Labor Department. It was the 41st consecutive week of jobless claims below 300,000, the longest run since the early 1970’s. The Commerce Department reported that builders of houses and apartments increased construction by +10.5% in November after the -12% plunge the previous month. Single-family starts and building permits rose to their best levels since December of 2007. Housing permits gained +11% to an annualized rate of 1.289 million, beating forecasts of 1.146 million. Homes under construction rose +2.2% for the month, and is up +18.3% for the year. The National Association of Home Builders Housing Market Index declined a point to 61 in December, still in expansion but at a slightly slower pace. All 3 components of the index declined–six-month sales outlook, current conditions, and buyer traffic. The Labor Department reported that core inflation rose at an annualized rate of 2% last month, reaching the Federal Reserve’s target, an important milestone that set the stage for Wednesday’s first interest rate increase in a decade. However, the Consumer Price Index (CPI) was unchanged versus October as energy prices fell -1.3%. Several regional Fed surveys of the state of manufacturing in their respective areas were released this week. The Philadelphia Fed’s manufacturing index came in worse than expected as weak global demand, a strong dollar, and falling commodities prices impacted U.S. manufacturers. The index sank to -5.9, the 3rd negative reading in 4 months. Analysts had expected a reading of 1.2. New orders plunged to -9.5, the 3rd straight month in negative territory. Shipments were up as manufacturers worked through their backlogs, but unfilled orders fell to -17.7, inputs declined to -9.8, and final goods came in at -8.7. The New York Fed’s Empire State Manufacturing Survey was similarly negative, though less so than the prior report. The Kansas City Fed’s manufacturing index plunged to 8, the eighth contraction in the last 9 months. Confirming these regional surveys, the Fed reported that the US-wide Industrial sector was weak in November as output contracted -0.6%, worse than the -0.2% drop expected. Markit’s Purchasing Managers Index (PMI) for manufacturing 51.3 for December, the lowest reading in over 3 years and widely missing estimates of 52.8. New orders showed the weakest rate of monthly expansion in 6 years. Backlog orders were in contraction for the second consecutive month. Markit’s flash PMI for services slowed to 53.7 from November’s 56.5, the lowest services reading in a year. The weak overall reading reflects 5 months of contraction in backlog orders along with the slower growth in new orders. In Canada, the consumer price index declined -0.1% in November, but was up +1.4% compared to the same time last year. The decrease was attributed to seasonal factors. In the Eurozone, industrial production ex-construction rose +0.6% in October, beating expectations of a +0.2% gain, and was the first increase since July. Year over year industrial production rose +1.9%. Output increased +1.4% in capital goods and +1.8% in durable goods over September. December’s flash PMI composite report slightly missed estimates, coming in at 54. Manufacturing was at 53.1 and the services component was at 53.9, both in the “greater than 50” expansion area. Finally, “Bonds is Bonds” is the attitude many investors have when it comes to fixed income investments. That attitude has been dangerous this year, as the bond market has bifurcated dramatically along “quality” lines. Higher quality bonds – Treasuries and high-grade Corporates – have maintained their values well during 2015, but the lower-quality end of the market, commonly called the “Junk Bond” market, has suffered badly. One Junk Bond mutual fund, the Third Avenue Focused Credit Fund, even announced that it was halting redemptions and would proceed into liquidation – after dropping about 50% in value. Overall, the Junk Bond area has lost about -12% in the last 6 months, while high-grade bonds have maintained their value and the stock market has pulled back about -5% during the same period. See the chart below for the comparison. The average ranking of Defensive SHUT sectors rose to 12.0 from the prior week’s 14.8, while the average ranking of Offensive DIME sectors fell to 15.0 from the prior week’s 13.5. The Defensive SHUT sectors have taken back the lead from the Offensive DIME sectors. Note: these are “ranks”, not “scores”, so smaller numbers are higher ranks and larger numbers are lower ranks. Even if we are in a new Secular Bull Market, market history says future returns are likely to be modest at best. The CAPE is at 25.4, down from the prior week’s 26.4, and approximately at the level reached at the pre-crash high in October, 2007. In fact, since 1881, the average annual returns for all ten year periods that began with a CAPE around this level have been just 3%/yr (see graph below). The “big picture” is the months-to-years timeframe – the timeframe in which Cyclical Bulls and Bears operate. The US Bull-Bear Indicator (see graph below) is at 59.89, down from the prior week’s 62.71, and continues in Cyclical Bull territory. The intermediate (weeks to months) indicator (see graph below) turned negative on Friday, December 11. The indicator ended the week at 27, down sharply from the prior week’s 32. Separately, the quarter-by-quarter indicator – based on domestic and international stock trend status at the start of each quarter – gave a negative indication on the first day of October for the prospects for the fourth quarter of 2015. Concerns over further declines in the price of oil and other commodities led to widespread weakness in the market, and every major US index finished down substantially for the week. In the typical pattern as of late, the SmallCap and MidCap indexes took a heavier hit than their LargeCap counterparts. For the week, the Dow Jones Industrial Average declined over 580 points, closing at 17265, a fall of -3.26%. The Dow Transports plunged over 5.4%. The tech-heavy Nasdaq Composite Index lost the psychologically-significant 5000-level, declining over -4% to 4933. The LargeCap S&P 500 retreated -3.7%, the MidCap S&P 400 gave up -4.1% and the SmallCap Russell 2000 plunged over 5%. Canada’s TSX pulled back more than -4.25%, as the heavy weighting of energy stocks took its toll. Weakness hit European and Asian major markets as well. The United Kingdom’s FTSE index declined over -4.5%. Germany’s DAX ended down -3.8% and France’s CAC 40 lost -3.5%. In Asia, Hong Kong’s Hang Seng declined -3.4% and China’s Shanghai Stock exchange declined -2.5% (and LargeCap Chinese stocks lost more than -7.5%). Japan lost -1.4%. In commodities, West Texas Intermediate crude oil cratered over -11.9% to $35.36 a barrel, a price not seen since 2009. Precious metals were also weak as Silver lost -4.5% to $13.89 an ounce and gold declined $12.10 to $1073.70. In US economic news, initial unemployment claims hit a five month high, rising by 13,000 to 282,000. It’s the highest reading since mid-summer and points to potential softness in the labor market if it continues. Overall, jobless claims using the more-meaningful multi-week average remained below the 300,000 level, which has been associated with a healthy job market. Job openings declined 2.7% to 5.4 million in October according to the Labor Department’s Job Openings and Labor Turnover Study (JOLTS) report. The hiring rate held steady at 3.6%, and 5.1 million people were newly hired. The rate of people quitting their jobs held near a historically low reading of just 1.9%. Counterintuitively, higher rates of “quits” are a good thing, as it indicates that the quitters are confident of finding new employment promptly. US import prices continued to fall last month according to the Labor Department, as plunging oil and weak overseas economies suppressed inflation. Import prices declined -0.4%, less than expectations but still the fifth straight monthly decline. Imported petroleum fell -2.5% versus the previous month and is down a huge -44.5% versus a year earlier. Import prices excluding petroleum fell -3.4% versus a year ago, the biggest decline in six years. The weak petroleum prices are attributed in large part to a perceived “war” that Saudi Arabia has launched on US oil and gas producers, seemingly determined to underprice them out of business. The Association of American Railroads reported that US weekly rail traffic declined -6.6% last week from the year ago period. Total carloads were down -12.9%, while containers and trailers were up +0.8%. The rail traffic report has been called Warren Buffett’s “favorite economic indicator”. Consumer spending remained flat as Gallup reported that the average self-reported daily US consumer spending was $92 in November, the same as October. November spending was slightly below last year’s $95, but it remains among one of the highest readings since 2008. The Commerce Department reported that retail sales picked up in November, however, the small +0.2% gain missed expectations of a +0.3% rise. Ex-autos, sales advanced +0.4%, beating forecasts. Holiday shopping got off to a relatively healthy start as sales at electronics and appliance stores rose +0.6%. Research firm Global Insight is projecting a +3.4% rise in holiday retail sales, a solid reading but behind last year’s +4.1% increase. Inventories at US wholesale businesses fell -0.1% in October after a slight increase in September, according to the Commerce Department. With sales remaining flat the inventory-to-sales ratio of 1.31 remains at a post-recession high for a third straight month. The elevated level of inventories is one key reason that economists feel GDP growth will come in at a modest 2% or lower in the 4th quarter. Credit card data for October slowed more than expected as Americans reined in credit card spending heading into the holiday shopping season. The Federal Reserve reported that October consumer credit rose by +$16 billion, less than the +$20 billion analysts had expected. Revolving credit, which is mostly credit card debt, increased +$179 million in October and was the weakest reading since February’s negative reading. The reading suggests that consumers were frugal with their discretionary spending just before the holiday season. Adding to this conclusion is the Commerce Department’s income and spending report, which showed that consumer spending rose only +0.1% in September and October. In Canada, housing starts rose in November as the number of new homes under construction rose 211,916. Consensus estimates were for 198,000 new units. Strength was concentrated in condominium building in Ontario and regions of Alberta, Saskatchewan, and Manitoba. In the United Kingdom, interest rates were left unchanged by the Bank of England as the bank’s Monetary Policy Committee voted 8-1 to keep rates at 0.5%. The bank predicts that inflation will stay below 1% until the second half of next year. Also in the United Kingdom, the trade deficit widened more than expected in October to $17.9 billion from $13.3 billion the previous month. Imports rose 7% in the month powered by automobiles and other manufactured goods. Excluding oil, it’s Britain’s biggest trade deficit since 1998. In the Eurozone, 3rd quarter GDP growth was +0.3% over the previous quarter and up +1.6% year over year. Private consumption grew +0.4% after a +0.3% increase in the 2nd quarter. Inventories increased +0.2% and government consumption increased +0.6%. Exports, however, suffered from a slowdown in global trade. In Germany, industrial production rose +0.2% in October, the first increase since mid-summer but well below expectations of +0.7%. Annualized, growth was up +0.1%. Weakness in energy output and consumer goods weighed against a good +2.7% gain in capital goods. Finally, a continuous argument on Wall Street is whether the market’s current valuation is too high, too low, or just right. Some analysts say that current Price/Earnings (PE) ratios are artificially high because of a handful of high-flyers with astronomical PEs (Amazon and Netflix, for example) – and therefore, the market is reasonably priced or better. In order to remove the outsize effects of those highflyers, the respected research firm Ned Davis Research (NDR) published a study using the “Median” valuation instead of the usual “Average” valuation. A median number, as you recall from your freshman statistics class, has an equal number of greater and lesser values on either side of it, and thus eliminates the outsize effects of those highflyers. What NDR discovered was that, using median valuation measures based on trailing-12-month data, the current valuation of the market is higher than the 2 previous bull market peaks. They noted that this is true on both a Price/Earnings basis and a Price/Sales basis. The average ranking of Defensive SHUT sectors rose to 14.8 from the prior week’s 17.8, while the average ranking of Offensive DIME sectors rose to 13.5 from the prior week’s 14.0. The Offensive DIME sectors continue to lead the Defensive SHUT sectors, but not by much. Note: these are “ranks”, not “scores”, so smaller numbers are higher ranks and larger numbers are lower ranks. Even if we are in a new Secular Bull Market, market history says future returns are likely to be modest at best. The CAPE is at 26.4, unchanged from the prior week, and approximately at the level reached at the pre-crash high in October, 2007. In fact, since 1881, the average annual returns for all ten year periods that began with a CAPE at this level have been just 3%/yr (see graph below). The “big picture” is the months-to-years timeframe – the timeframe in which Cyclical Bulls and Bears operate. The US Bull-Bear Indicator (see graph below) is at 62.71, up from the prior week’s 62.23, and continues in Cyclical Bull territory. The intermediate (weeks to months) indicator (see graph below) returned to positive on October 5. The indicator ended the week at 32, up 1 from the prior week. Separately, the quarter-by-quarter indicator – based on domestic and international stock trend status at the start of each quarter – gave a negative indication on the first day of October for the prospects for the fourth quarter of 2015. In the Secular (years to decades) timeframe (Figs. 1 & 2 above), whether we are in a new Secular Bull or still in the Secular Bear, the long-term valuation of the market is simply too high to sustain rip-roaring multi-year returns. In the Cyclical (months to years) timeframe (Fig. 3 above), the US is the only major market still firmly in Bull territory. In the Intermediate (weeks to months) timeframe (Fig. 4 above), US equity markets are rated as Positive. The quarter-by-quarter indicator gave a negative signal for the 4th quarter: neither US equities nor ex-US equities were in an uptrend at the start of Q4 2015, sufficient to signal a higher likelihood of a down quarter than an up quarter. A strong rally on Friday moved the major indexes back into positive territory for the week as the closing weekly results hid the underlying intraweek volatility. The Dow Jones Industrials rallied 369 points on Friday to end the week up +49 points (+0.28%) to 17,847. The Nasdaq Composite +14.75 points (+0.29%) to close at 5,142. The Large Cap S&P 500 index remained near flat adding a single point (+0.08%). However, two indexes continue to lag the large caps–the Mid Cap S&P 400 declined -1.35% and the Small Cap Russell 2000 lost -1.58%. Canada’s TSX lost a smidge at -0.07%. International markets were mixed on the week, with Europe’s major markets jolted to the downside by an unexpectedly unambitious stimulus announcement by the European Central Bank’s Chairman Mario Draghi. Market expectations had been for a much more aggressive stimulus announcement than Draghi delivered. The German DAX led the major indexes to the downside losing over -4.8%. France’s CAC 40 declined -4.37%. The United Kingdom’s FTSE ended the week down -2.15%. Asia and some emerging markets were better as China’s Shanghai Stock Exchange rose +2.58%, Hong Kong’s Hang Seng gained +0.76%, and Brazil moved up by +0.6%. In commodities, precious metals had strong gains as Silver rose +3.38% to $14.54 an ounce and Gold added $29.70 (+2.8%) to end the week at $1,085.80 an ounce. Oil, however, came under further pressure losing over 3.9% to finish at $40.14 for a barrel of West Texas Intermediate crude oil. In US economic news, the monthly Non-Farm Payrolls (NFP) report was stronger than expected as the US added 211,000 jobs in November, more than the 190,000 expected. The unemployment rate remained at 5% as the labor force participation rate also moved higher. Construction and retail sectors led the way with a second strong month of hiring. However, manufacturing jobs fell by 1,000. Average hourly earnings rose almost +0.2% last month. The jobs report appears strong enough to give the Federal Reserve the green light to raise interest rates at its next meeting. Weekly initial jobless claims rose by 9,000 last week to 269,000 according to the Labor Department. Initial claims remain near a 4-decade low. Continuing claims rose by 6000 to 2.16 million in the week ended November 21. ADP’s private-employer survey showed those employers added 217,300 jobs last month, more than expected. The 204,000 jobs in the service industries accounted for almost all of the gain. Manufacturing jobs showed a very small rise of 6,000, but overall remain down in 2015, which echoes the theme from the NFP of “strong services, weak manufacturing”. Construction employment gains also slowed to 16,000, according to ADPP, roughly half the rate of the prior two months. Employment firm Challenger, Gray & Christmas reported that employers announced plans to lay off 30,953 workers in November, the lowest since September of last year. Announced plans fell 39% from October and were down 13% versus this time last year. However, year-to-date layoffs of 574,888 make 2015 the worst year for layoffs since 2009. Leading the way is Hewlett-Packard, which plans to cut 30,000 jobs. Oil services firms Schlumberger, Halliburton, and Baker Hughes have all cut tens of thousands of jobs with Schlumberger recently stating that it plans to cut more. The Chicago-area manufacturing Purchasing Managers Index (PMI) for November missed estimates and fell into contraction at 48.7 (readings below 50 are in contraction territory). November’s reading was a sharp decline from October’s 56.2. Estimates had been for a reading of 54. New orders fell along with backlog orders that showed their 10th straight month of decline. A competing measure, the Institute for Supply Management (ISM) survey, agreed with the PMI, reporting that US manufacturing activity fell into contraction to 48.6 last month, nearly 2 points below the consensus estimate and the lowest level since June 2009. The ISM index had hovered around 50 since September as US manufacturers have been struggling with the impacts of a strong dollar, a slumping oil market, slowdowns in major international economies, and inventory overhang. By contrast, ISM’s US service-sector index came in at 55.9, indicating that the U.S. service sector still remains in growth mode. However, this is the lowest reading since May, and below expectations. Federal Reserve Chairwoman Janet Yellen this week again signaled that a December rate hike is likely in testimony before lawmakers after the European Central Bank extended its asset buying program. Yellen stated “U.S. economic growth is likely to be sufficient over the next year or two to result in further improvement in the labor market”, which supports her earlier comments that a rate hike is still likely at the December 15-16 meeting. Yellen stressed, however, that rate hikes would be gradual. In the Eurozone, the European Central Bank opened its money tap only slightly on Thursday after previously indicating a substantial move would be required to force the economy out of its slump. Instead of expanding its asset purchases beyond the roughly $66 billion per month, the ECB pushed back the purchase program’s earliest end date by 6 months. It left its key lending rate unchanged but the interest paid on assets left overnight at the ECB dropped further into negative territory, from -0.2% to -0.3%. European stocks instantly sold off 2-3% on the news. October Eurozone consumer prices rose just +0.1% versus a year earlier, below expectations. Core inflation, at 0.9%, also missed views. In China, the official manufacturing index fell to a 3-year low in November, down -0.2 point to 49.6, according to the National Bureau of Statistics. The reading was slightly below forecasts and pushed further into contraction territory. However, the service sector index rose a half point to 53.6, further evidence that China is rapidly shifting from an export-focused industrial economy to one relying on services and domestic demand. While industrial production and capital spending data have been weak, retail sales growth has remained robust. Apple, Starbucks, and Nike have all shown strong sales growth in China. Finally, as reported above key gauges of US manufacturing activity have slipped back into contraction territory. Investors, however, still appear to be fixated on the ever rising major market indexes—the Dow Jones Industrials and the S&P 500. Should investors be less blasé about this development? Or can the manufacturing woes be safely ignored? The following chart from economics reporting firm Factset shows that each of the last two big bear markets were preceded by a drop of the ISM manufacturing index into contraction territory, in August of 2000 and December of 2007. Interestingly, each was also preceded by a brief dip into contraction a few months before. The same pattern has now emerged, although the “brief dip” this time was more than a few months ago. Given this history, perhaps investors would be wise to be less blasé. The average ranking of Defensive SHUT sectors slipped to 17.8 from the prior week’s 17.0, while the average ranking of Offensive DIME sectors fell to 14.0 from the prior week’s 11.3. The Offensive DIME sectors continue to lead the Defensive SHUT sectors. Note: these are “ranks”, not “scores”, so smaller numbers are higher ranks and larger numbers are lower ranks.